Island Walk in Naples, Florida is a gated community that welcomes all ages and offers features that any homebuyer will find particularly appealing. This beautiful community includes many amenities such as a state-of-the-art fitness center, beauty parlor, bank, library, swimming pools, tennis courts, and card rooms. With 1,856 homes, Island Walk is a comfortable mid-sized community that employs a full-time activities director. Homes at Island Walk are available in a variety of floor plans and price ranges that can meet the needs of almost every homebuyer. Nearly every home enjoys a view of one of Island Walk's many scenic lakes. Island Walk's spacious clubhouse features a large state-of-the-art fitness center, card room, library, multi-purpose room and catering kitchen. The clubhouse is also the perfect setting for community events, which are arranged by Island Walk's Leisure Services Department. Outdoors, residents enjoy a lap pool and resort-style swimming pool, eight lighted Har-Tru tennis courts, four bocce ball courts and a putting green. In addition to these recreational activities, the community also has its own bank, post office, beauty parlor, gas station, and car wash. There are many scenic lakes found throughout the community, while interconnected walking trails and pedestrian bridges lead to the clubhouse. With all of these amenities located in Island Walk, residents never have to travel far from their doorstep to run errands or enjoy an activity throughout the day. The lovely 1,856 homes at Island Walk were built by DiVosta between 1998 and 2004, and are available in single-family models, attached duplex villas, and two-story townhomes. These comfortable resale homes are great for low-maintenance living. Lawn care, landscaping and home exterior maintenance are all provided by the homeowner's association. Nearly every home in the community overlooks one of Island Walk's numerous scenic lakes. Island Walk homes are available in a variety of styles. There are two single-family model homes: the Oakmont, which is 1,997 square feet and the Carlyle, which is 2,503 square feet. These single-family homes feature three to four bedrooms, two-and-a-half to three-and-a-half bathrooms, and two-car garages. Residents may also opt for one of Island Walk's thoughtfully designed attached duplex villas that have two bedrooms, a den, two bathrooms, and a two-car garage. The townhome models come in two-story layouts with three bedrooms, two bathrooms, and a two-car garage. The Island Walk community is open to all ages. The clubhouse features plenty of amenities that encourage an active lifestyle as well as a social calendar full of fun-filled activities and events. A full-time activities director is on-hand to help Island Walk residents make use of the many amenities, take part in the community events or join a suitable social club. 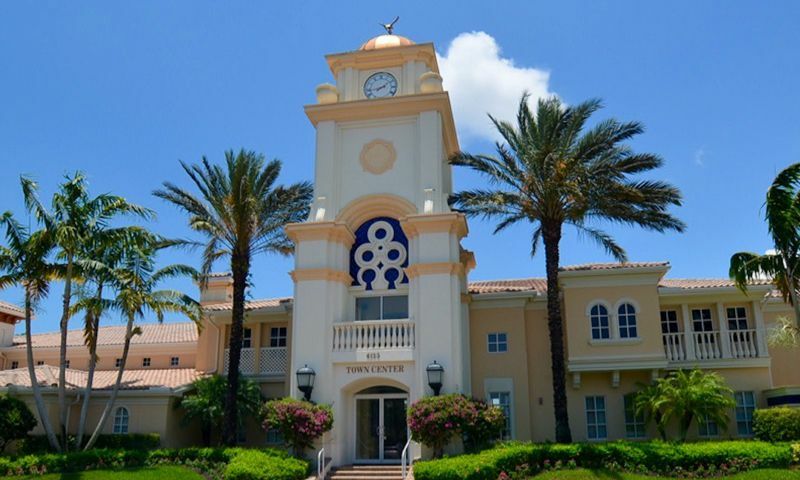 Some of the community activities at Island Walk include both men's and ladies' luncheons, movie and game nights, bingo, bocce, art class, bible study, yoga, poker, golf group, and card club. Community social clubs encourage residents to meet other neighbors with shared interests. A few of these social groups include the Motorcycle Club, Island Walk Fishing Club, and Tennis Club. Island Walk is located only minutes from the gulf coast and 13 miles from Naples, one of Florida's coastal hot spots. In Naples, residents will find sunny beaches, world-class shopping, fine dining, and challenging golf courses. With its calm waters and beautiful shores, the Gulf coast is an ideal location for many water-based activities, including boating and fishing. Residents will enjoy spending their years at leisure at Island Walk in Naples, Florida. There are plenty of activities available in Island Walk. Here is a sample of some of the clubs, activities and classes offered here. The attached duplex villas have 1,522 square feet of living space. They feature two bedrooms, a den, two bathrooms, and a two-car garage. These floor plans offer lanais and optional space for an outdoor pool. Townhomes within Island Walk are 1,771 square feet. They come with three bedrooms, two bathrooms, and a two-car garage and are in two-story buildings. Homeowners can also add a pool or a large patio to customize their home. Single-family homes at Island Walk include three to four bedrooms, two-and-a-half to three-and-a-half bathrooms, and an attached two-car garage. These homes range from 1,997 square feet to 2,503 square feet. These single-family homes also feature screened lanais and pool options. We have lived in Island Walk for 19 years. It is a beautiful community to view but the heart of any community are the people. I have met and made friends with many kind and warmhearted people. The staff of people keeping Island Walk running are professional and hard working people. The location of Island Walk was ideal for us with family in Naples and Bonita Springs so we are right in the middle. The HOA fees are low and the homes are well built. Everything I need is close to home and the community even has its own post office and library, car wash and gas station, hair salon, bank and restaurants. It is all very convenient! 55places.com is not affiliated with the developer(s) or homeowners association of Island Walk. The information you submit is distributed to a 55places.com Partner Agent, who is a licensed real estate agent. The information regarding Island Walk has not been verified or approved by the developer or homeowners association. Please verify all information prior to purchasing. 55places.com is not responsible for any errors regarding the information displayed on this website.